The 2010 Chevrolet Malibu ranks 5 out of 21 affordable midsize cars. This ranking is based on our analysis of the 71 published reviews and test drives of the chevrolet Malibu , and our analysis of reliability and safety data. The Chevrolet Malibu has enjoyed a ranking near the top of the midsize car class since a 2008 redesign. With a distinctive, two tone cabin more stylish than the Honda Accord or Toyota Camry, a balanced ride and excellent fuel economy, the Chevy Malibu is one of the best family cars available. When the Chevy Malibu was redesigned for 2008, the automotive press heaped awards on the car. It was one of the car and Driver’s 10Best, North American Car of the year at 2008 North American International Auto Show, and one of the Automobile Magazine’s 2008 Automobile All-Stars. 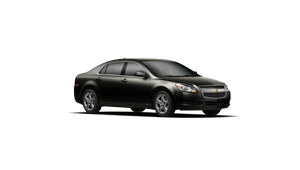 The 2010 Chevrolet Malibu model has changed little from that wildly successful car. The 2.4L four cylinder engine offered on base models can now use E85 as well as regular gasoline. A hybrid edition has been discontinued. With its crisp, tailored lines, the Chevrolet Malibu looks more like a luxury sedan than a fleet car. And along with the upscale styling is a similarly handsome cabin in terms of materials and build quality. Two-tone interior schemes, even on base models, further the effect. The 2010 Chevy Malibu is available in four trims: base LS, midlevel 1LT and 2LT and luxury LTZ. Even the LS comes with full power features, air-conditioning, satellite radio, side curtain airbags, traction control and OnStar. The LT versions upgrade with stability control, alloy wheels and (on the 2LT) heated seats and more power features. Highlights of the LTZ include foglamps, 18-inch alloys, leather seating and an upgraded audio system. Once an afterthought for import shoppers, the Malibu should now be a consideration for Accord and Camry shoppers. It’s not the only domestic midsize car buyers should consider, either an improved Ford Fusion is now competition for the top of the class as well.